I am puzzled. You have joined in on the #MeToo movement to make public your opposition to sexual abuse, harassment, and assault, yet you have avoided any mention of the elephant in the room: Roy Moore. Moore, a Southern Baptist churchgoer and US Senate candidate, has been accused by multiple women of having sexually harassed and assaulted them when they were in their teens and he was in his thirties. One of the women said she was abused by Moore when she was 14. 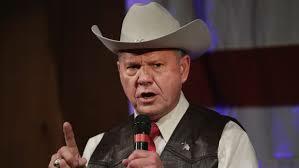 The people of Alabama have an important decision to make: whether a man with multiple corroborated allegations of sexual abuse, including allegations involving minors, is fit for the US Senate. Yet your statement of generalities says nothing about the man that Alabamians are hearing about in the news every day. Perhaps your statement provides some feel-good sense of righteousness, but absent a willingness to confront the reality of what Alabama citizens are facing, it strikes me as cowardly. To denounce sexual abuse in the abstract is easy; to do so in the particular is more difficult. Maybe you don’t want to involve yourself in politics, but this is not merely an issue of politics but of morality, ethics, and decency. Besides, any illusion of Baptist neutrality on political issues is already gone. For months, Baptist churches have been opening their doors for what appear to be little more than Roy Moore campaign events, allowing the candidate to denounce the accusations against him while speaking from a Baptist pulpit. It certainly appears that many Baptist churches have taken a political position in support of Moore, and your statement of generalities does little to refute that appearance. Of course, covering up cases of sexual abuse isn’t unusual in the Baptist community. Southern Baptist Convention president Steve Gaines kept quiet about an admitted child molester on his ministerial staff. And the denomination’s former president and current CEO, Frank Page, publicly castigated those of us who spoke out about clergy sexual abuse as being “nothing more than opportunistic persons.” These are the kinds of particulars for which a denouncement would be meaningful. To add insult to injury, you begin your statement talking about the “complementary roles” of men and women, a reference to complementarian theology, a belief system that casts women in a submissive and non-egalitarian role and that has been sorely criticized for fostering sexual abuse. But what troubles me most about your statement is its failure to make even a bare-bones acknowledgement of the problem within your own ranks. It is as though you imagine that sexual abuse only exists outside your faith community. Do you believe it only occurs in the Catholic Church or in Hollywood? These failures make clear that the Baptist community still refuses to face up to the darkness its churches harbor. And you, as its leaders, are still unprepared and unwilling to grapple with the widespread prevalence of sexual abuse, assault, and harassment in your own faith group. Your generalized statement seems little more than preachy pabulum, leaving women, children, and other congregants vulnerable to abuse.